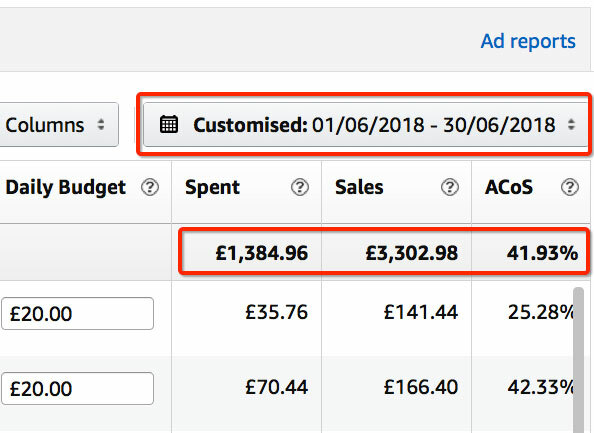 My June 2018 Amazon UK FBA Update: £100K in 6 Months! I know, I know. You have all been waiting for this post for the last two weeks. The truth is, I really struggle with my work ethic during the summer months—especially with the exceptionally good one we’re experiencing this year! I know that it shouldn’t be an excuse for a business owner like me, but something magically happens to my brain in the summer. It simply goes into “lazy” mode and, without fail, my productiveness goes down. Of course, each year, I try in vain to fight this natural urge to relax, but, as you know, when you are the boss, when you set your own hours, it is actually very hard to do. Yes, even though I’ve been in this position for soooooo many years, I still have to fight myself to get back to work and keep my motivation levels high. To be honest, it actually gets worse on some level when you reach a decent level of financial independence; it’s very, very hard to make money your main motivator when you’ve already got a good income coming in each month. And there’s another thing: this year, this summer, I’ve come to realise that I’m a routine person, which means that I perform at my BEST when I’m in a set routine each and every day. Anyways, I’m rested, rejuvenated and ready to get back on track with my routine. Enough partying; I’m ready to do some SERIOUS WORK! And there are lots of things to do, as you will find out later in today’s blog post. Seriously, I can’t wait until September starts, the kids go back to school, and the sun goes down before my bedtime. Now, let’s get back to business—that’s what you’re here for, right? For those of you who are first-time readers of my monthly results update posts: in these posts, I cover just one of my Amazon businesses. 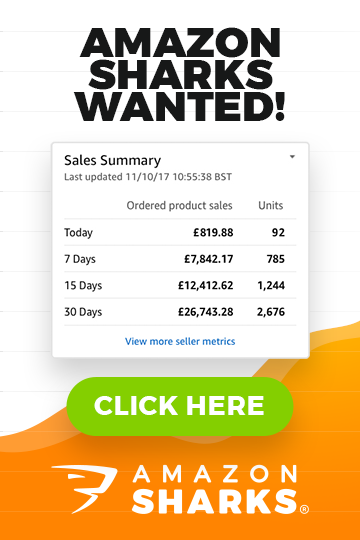 I detail how many sales I have generated, how much money I spent on ads and so on. 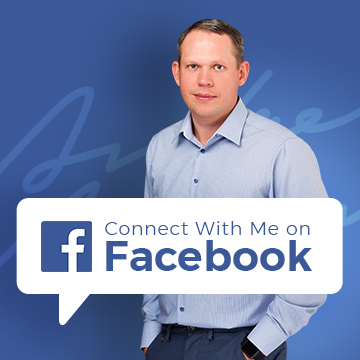 I highly recommend you check out my previous posts in this series to learn more about the business and results so far. Ok, without further ado, let’s get started with Amazon UK results! With summer beginning, I was terrified that June would be the worst month in terms of sales this year, but it actually wasn’t that bad at all. In fact, it was my third-highest earning month so far in 2018, which I was very pleased about. Every time I launch a new business, it is the first year that worries me most because of the seasonality of a new niche/product. Using Google Trends during the market research phase is all good, and I do it myself, of course, but it is only when you sell the product for a full 12-month cycle that you truly see how demand changes throughout the year. And, so far, it looks all good. As I write this, it’s the end of July, so I can already see that July’s sales will also be very good, but more on that in next month’s update. As you can see, the number I’ve stated is the same number you see in the screenshot of my Amazon account, right? Or not? Have I Photoshopped this screenshot? Changed the numbers and graph? Inflated my sales? I hope it’s clear to everyone that these numbers are real. I have no intention of faking my sales numbers, but I understand the concern. There are YouTube stars, 18-year-old “millionaires” with Lamborghinis, and all kinds of shady people online who claim to make hundreds of thousands per month doing very little work. I’m not doing this to sell you a get-rich-quick lifestyle; my goal is to give you a real-life glimpse into what is possible by selling on Amazon, as well as the level of consistent work that goes into it on a daily basis. 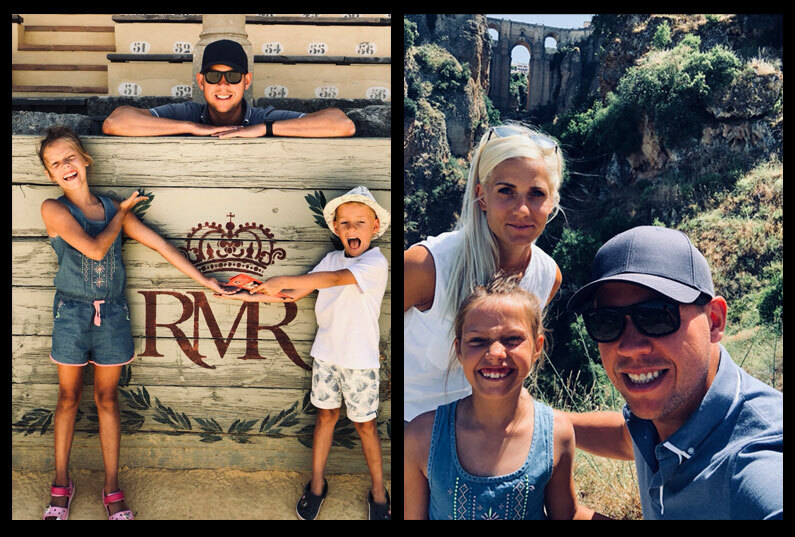 I share my real-life experience in real time, and that includes the financial results—good or bad! 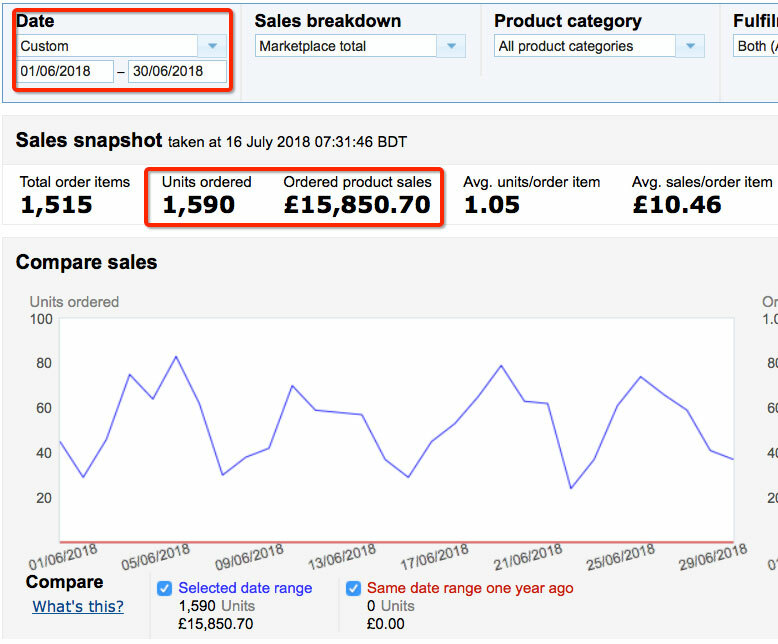 So, let’s get back to numbers for this month: I sold 1590 units and as I’m making a £4 profit per unit after paying Amazon Seller fees, Amazon FBA fees and VAT (as explained in previous posts), this means that I made a profit of £6360 (1590 units multiplied by £4 profit per unit). £6,360 – £1,821.40 = £4,538.60 (I simply deducted ad costs from the profit number). (The total number shown in the Amazon reports is slightly different due to returns/refunds adjustments which can happen weeks after I have created my monthly reports and blog posts). So, after half a year with this business, I’ve made £100k in sales and £28k in profit. This should finish the year with at least £50k in profit, but I also know that the Christmas season for this product is very lucrative (last year I ran out of stock before it even began), so I will shoot for £60k profit for this year (which is the first full year for this new business). I will see how it goes and you will be the witness of my success (or failure) as I will continue documenting my journey. I hope you’re not bored by these numbers and calculations each month. Yes, they’re a bit repetitive, but I think it should also help you to better understand how the financials work for your own business; PLUS, of course, it is also interesting for me to have a detailed breakdown of sales, profit, and spend each month. £4.5k per month profit may not seem like a LOT of money to some of you, especially if you have watched all those fake Amazon millionaire videos on YouTube. But one thing those fake entrepreneurs do get right is the amount of time you have to spend on an Amazon business when you use FBA. I’m ashamed to admit it, but, in June, I literally didn’t spend ANY time on this business whatsoever. I just checked sales/customer emails once a day—that’s it. And what I mean by “checking emails” is that I marked “No Response Needed” ten or so times throughout the month as I got those auto-replies to my feedback/review request emails, as people are going to vacations, etc. So, in essence, this money is all PASSIVE income. Amazon has allowed me to create a PHYSICAL PRODUCTS business that generates passive income—which is truly phenomenal if you think about it! Ok, with the UK covered, let’s get onto my Amazon USA results! Cracking the US market with this product might be mission impossible. Maybe. I knew that it would be tough but hoped that I would get lucky at some point and that the situation would not be as dramatic as I imagined it, but it seems that is not the case. There are several problems I’m contending with, which I will cover right after the numbers. So, sales-wise, it may not seem that bad at all for the FIRST month of trading. I made $4,078.86 selling 314 units (averaging ten a day). 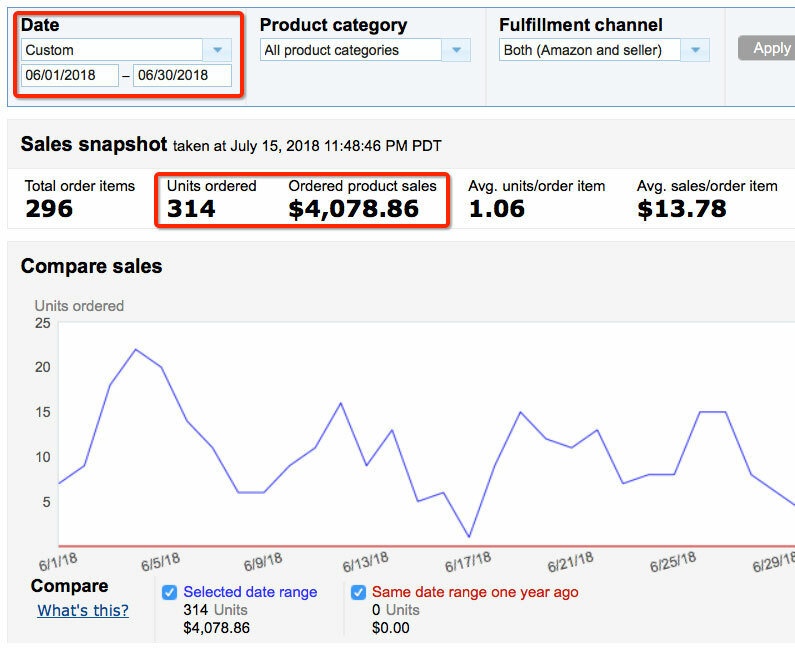 My profit per unit is $5.85 (calculations shown in my Amazon US launch post), which means that I made a profit of $1,836.90 (314 units multiplied by $5.85). 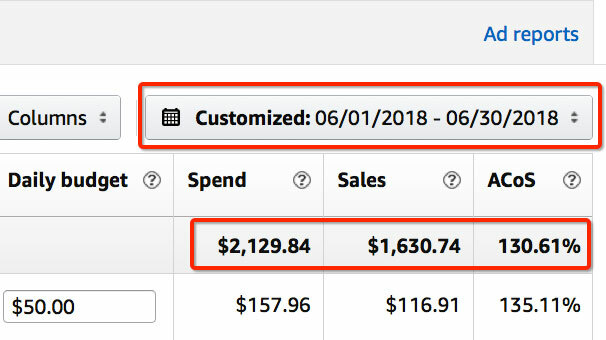 I spent $2,129.84 in Sponsored Product ads on Amazon US in June 2018 (I haven’t started Headline ads yet), which means that I generated a NEGATIVE NET profit of -$292.94 (I get this number by subtracting ad costs from the profit: $1,836.90 – $2,129.84). So, I lost $300. That’s not a big deal, right? Absolutely! Making a loss at the product launch phase is perfectly fine and what I expected anyway! I know from experience that I do need to burn money in ads to build up sales velocity, which increases organic rankings and sales as a result. All plain and simple; it’s a strategy I have been using for years and I know it works. Why is this happening? Why my sales are not improving? My price is simply too high. I am an advocate of selling premium products for premium prices, but there is a ceiling to this strategy. People know when you have overpriced something, especially in commodity goods market. The product is selling successfully in the UK for £9.99 (as you can see from my UK results) and people are actually saying that it’s great value and a great price point, etc. No one has even left any negative comments that the price is not right, so I really believe that £9.99 in the UK is a GREAT price point and actually provides very good value for money. In the US, I set the price to $12.99, even though I suspected that it probably wouldn’t work out. Why? Because everyone else is selling the product for $9.99 or even less. And that’s not all—they sell a BIGGER product for that $9.99!!! That means that my price point suddenly doesn’t look that attractive at all. Definitely NOT a “good value” price point in the eyes of US customers. Even though customers on Amazon are looking for high-quality products, they do also look for good value deals on those products. Just to make it more comparable, I have posted price figures from Jungle Scout for the UK site and the US site. As you can see, the difference is obvious. My product is not something totally unique, of course, and everyone in this niche sells essentially the same product. Ultimately, this means that I’m simply not competitive with my price point. This, in my opinion, is even worse than the price issue. I can lower the price and work on smaller margins, but I can’t change the fact that this product has design variations. It means that I can’t simply pour thousands of dollars into ads to increase my sales above all others. It won’t happen because, with a product such as this where people base their buying decision on the design of the product, you will never be able to do that! Click-through rates and conversion rates are much lower than with products that have just one variation/design, and Amazon is not showing your ads as often as you would like—even if you have set the highest bid on the market (due to low CTRs, Amazon rotates ads more often). I already set the bid prices very high (aggressively high, in fact) for my main keywords, but it does not result in sales volume, simple as that. And without sales volume, I can’t reach the sales velocity of my long-established competitors. If my sales stall, I’m wasting all that money on ads and I likely won’t recoup it going forward. On Amazon UK, I launched the very same product and made almost £12k in sales the very first month (17 sales on the first day), very easily. Why? Because competition levels on Amazon UK are so much lower compared to the US site. I have been saying this all along: Amazon UK (and Amazon Europe, too) is where the big opportunity lies right now. And my experiment in the US only proves it. 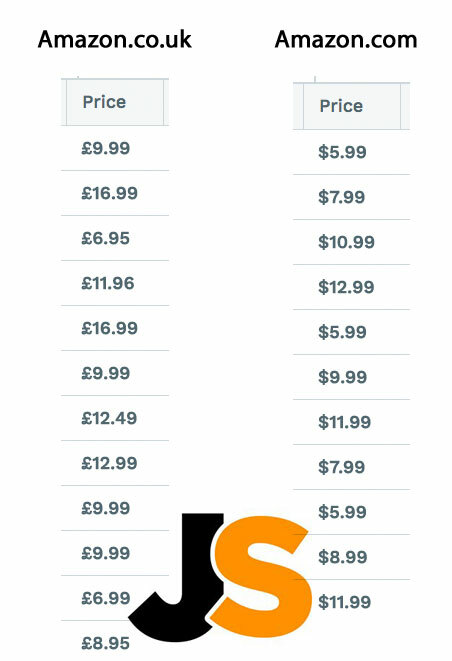 It’s so much easier to launch a product and get sales on Amazon UK compared to Amazon US simply because competition levels are totally different. Yes, sales are also much lower in the UK compared to the US site, BUT we’re after the profit, not sales volume, right? Exactly! And for this business, this product, the competition level is EXTREMELY high in the US! This, along with the wrong price point and design variation issue, is the main reason why I’m not seeing the success on the Amazon.com I hoped I would see. Just so you know, I’m not surprised about any of this. When I researched this market/product, I based my business plans and goals on the Amazon UK platform, Amazon UK numbers/competition/price. I did check out the Amazon US stats using Jungle Scout too, of course, but I saw that the prices were lower and the competition much higher in the US, so I left it at that. I knew that I would give the US market a chance one day and if it worked out, all good, if not—no problem! At least I have tried, right? I’m not saying that I’m completely giving up—not yet. I do want to try out few things first, like lowering the price to $9.99 (the price point that most of my US competitors use, even though it would still be a high price as my product has “less” in it) and a few other things. However, mentally, I’m already preparing to leave the US market with this product, which would mean just letting the stock sell out naturally and using low organic sales to at least recoup some of the losses I have incurred so far. If we talk about ranking techniques, in a case like this, the best thing to do would be to send pre-qualified OUTSIDE traffic to my Amazon listings to bring up my sales velocity numbers. This means using Facebook ads or influencers, for example. The problem is that I’m not a huge fan of this strategy. If I do work/pay for outside traffic, I’d rather send it to my own online shop, not Amazon. I don’t know; I will have to think about it before I make a decision. In some ways, I’m actually even more excited than before for this business. If the US launch had been very successful, I would probably leave this business at that. I’d just sell on Amazon UK & US and not even think about anything else. It would easily generate a £10k per month profit without much effort on my part, and that would be enough to put me in on sleep mode and probably high enough to allow me to move on and look for something else, something new, a next business idea to launch. BUT, as it did not go that well, I’m actually planning on expanding the business in the UK. I haven’t decided on which direction to go first. I’ll either launch an online shop (which is probably something you would all want to hear about) or go wholesale/offline first. There is some major planning and thinking to do, which I will cover in a separate blog post (my thoughts on Amazon’s place in our shopping habits and stuff like that). Speaking of an online shop: obviously, it’s a massive time and money investment, but the Amazon US launch actually reminded me once again how vulnerable we are if we only sell on Amazon. I mean, say I launch a product on Amazon US and invest thousands of dollars into ads/sales velocity to just gain rankings; those rankings are totally virtual, something that can be taken away from us in an instant and without warning. We don’t even get our customer email addresses and can’t communicate with them!!! I would probably achieve decent rankings on Amazon.com if I were to invest $20k to $30k into a super aggressive Sponsored Products ad campaign over a three-month period. But then again, I could use the same money on Facebook ads, Pinterest ads and influencers to promote my brand and my online shop. 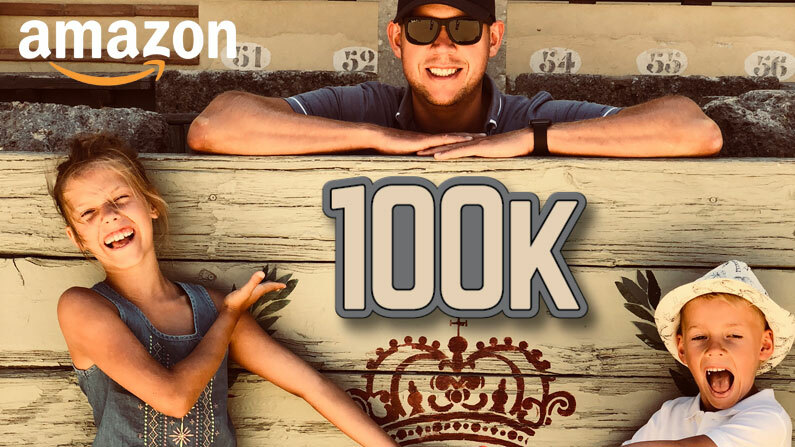 I could get at least 1000 customers on my list and thousands more on the opt-in list to send repeat market campaigns. Which one is more valuable and secure? I’m just touching the bases here so that you can see that these are all difficult decisions to make. I will probably put this thought process (about next steps to take) in a separate blog post. Right now, I’m concentrating my efforts and energy on preparing stock for the Christmas season. I have had some major delays and issues with one factory in particular being out of business for one month (due to relocation), and this means that I will have even less time to get all the stock ready before the holiday season kicks in! I don’t want to lose out this year due to another out-of-stock situation. Going forward, I really want to get back to weekly blog posts as there’s so much to cover, seriously! In July alone, we had the Prime Day with Prime Deals and I tested the Early Reviews program in the US. Amazon messed up the sales/ads dashboard for 24 hours or so. On the UK platform, there are new features being introduced all the time, like the most recent one: vouchers. I feel very positive that I will stick with it and do the weekly post throughout the year! If you have any questions about the things I have covered in today’s blog post, please leave them in comments block below. Also, if you have any suggestions or ideas about what you would like me to cover in future blog posts, I would be very happy to hear from you too! Also, I have made a small change in how the sign-up process will work from now on. As you know, I have set a limit of 20 people that I take on board the program each month. Well, for the last three months it has been +/- 20 people who pay reservations, so I see no point in carrying on with the reservation process. It seems that my blog traffic attracts those 20 people or so to the program each month (you get what you ask for, right? :-). So, from now on, I will just leave the program open at ALL times! This means that you won’t have to wait for the next round to get in! You can sign-up to the program any day, any time you want, and get IMMEDIATE access to all the materials. I will continue to make the weekly payment option available as well as the full, up-front payment option at the same price. So if you’re interested, CLICK HERE to learn more about Amazon Sharks course! Thank you for this. Absolutely love reading this every month, extremely helpful, honest, open and enjoyable. Thank you for your honesty and integrity. I’m early in the process of developing a plan for my own business but it has restored my faith to see there is someone out there who will write with honesty and integrity. I love how you manage to show us everything without revealing what your product/market is. I’m sure you’ve been asked many times to reveal it but I really don’t want you to. It quite literally defeats the beauty of capitalism and would lead to hundreds of copycat cheats which would just lead to a load of poor quality products in the marketplace. Noone wins. Some of them are quite old though so I do plan on “refreshing” and updating them soon. Could you expand just a little on the “design variations” point please? Is it that some sellers offer personalisation, or just that your product is optimised for a different market that doesn’t necessarily translate to the US? No, no customisation but yes – it’s a product that basically you buy based off the design it has (like bedding sets for example). The design itself for my product is not that different to what I see on the US Amazon site, the biggest problem is size of the product, which I will cover in next month’s update. I love reading your blog and how you are getting on Andrew. Keep up the good work and I will join and be an Amazon Shark soon! You have been a godsend and really kicked off my online selling journey a couple of years back. I’m having the same realisations about eBay and started on Amazon UK at the end of last year. It went well until we had to discontinue our two top sellers. Since then we are building again but still too reliant on eBay in terms of revenue. 1. Have you done keyword targeted promotions using coupons or timed sales, and how effective is this versus general ranking through sales velocity? 2. I have a big problem with being unable to promote certain products I launch because I dont get the buy box(BB) and it has been at least 2 months since they were launched(mostly consumer electronics/accessories). My main method of ranking is through ads, so what else can be done here and how will I know when I can get the BB? Lastly, my method for selling on Amazon involves testing products generically on eBay first then private labeling the top sellers that make sense and launching on Amazon. This might not be the best strategy but its mostly because its harder to do market research on Amazon than on eBay.I’m using SO many tools (Sellics, AMZTracker, Merchant Words, Terapeak) and wish to have your opinion on the best ones that work for you as I have noticed an overlap of functionality. At the moment I am thinking of abandoning Sellics and having a go at Viral Launch or Jungle Scout (which you mention often for market research)? 1) I have done some testing with these methods in the past and I have personally not found them very effective, in LONG TERM (what matters). They used to work very well years ago but I don’t think they’re that effective (heavily discounted campaigns with coupons) in 2018 as Amazon has realised that sellers where simply manipulating the system. What works best now is direct PPC on Amazon AND any outside sales you can get but at full or small discount price (Facebook, Instagram, Influencers etc.). I have plans in place to do posts on all of these methods, test them in up-coming months and publish my findings on the blog. I still like to use Terapeak too (for Amazon product research purposes) to verify sales data on eBay and most importantly – to see seasonality of the product for last 12 months. But most of the research process I do is using Jungle Scout. I will definitely cover more PPC related issues in up-coming blog posts but most likely I won’t be doing full A to Z guides on that because it’s hard to explain/show PPC stuff in a blog post. Video works much better for that and that’s why I have created my Amazon Sharks course. But yes, I will be covering few tips & tricks on that as well. Its hard work and commitment that we all have, however most just want instant success life doesn’t work like that.. Well maybe for very few. 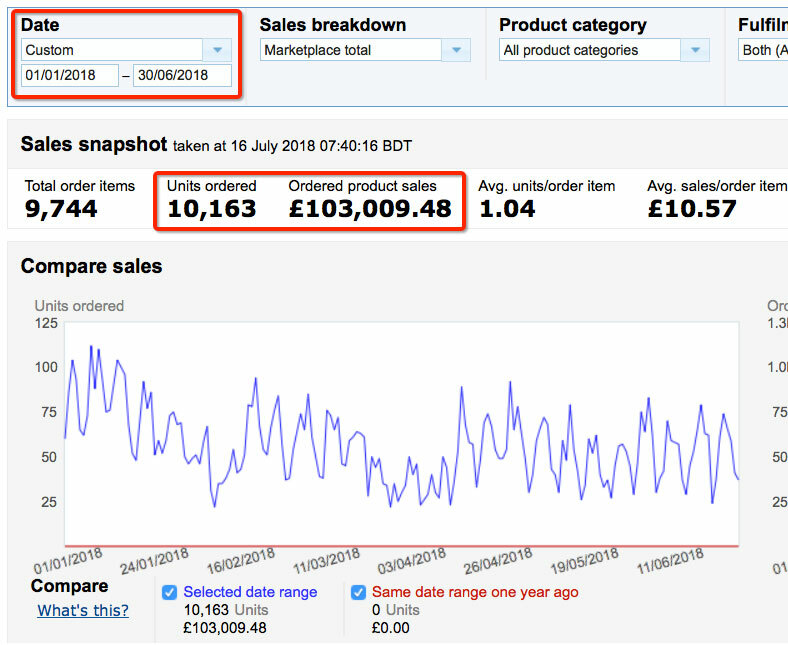 Myself I’ve spent countless amounts of money on business over years… really am the laughing stock of my friends and missus… one thing I can say I’ve improved each time and now am getting a steady £500 profit per month on Amazon. Hell this time last year I earned 15k of eBay however I knew with time constraints of family a full time job it was just not feasible to continue that model. I would like to thank you for opening my eyes to amazon and although not at stage to launch my brand yet… (Still 2 months until trademark) I know in time I will and I do believe I will succeed slow but surely. I have dyslexia and dyspraxia which you can properly tell leads to my poor English skills, however I do not use this as an excuse, you have to work around problems and challenges people who do this I believe will achieve in whatever they would like to do. If anyone tells me eBay better than amazon I say you’re having a laugh, I pack maybe one or two boxes a week for amazon compared to like 10-20 boxes per day for eBay. Current profit nowhere near eBay but life is so so so much better. Cheers for all good work! Don’t beat yourself up, we all deserver time off and breaks… Hell isn’t that what we work for lol ! One of the most sincere, true comment I have received in a long time. I’m sure you will reach your goals on Amazon too. You definitely have the right attitude to do that and I totally agree with everything you have said – especially with the fact that most people are simply too lazy and want everything INSTANTLY without putting hard work into it! Another great post Andrew. I know, this weather is too good and it’s easy to slack so I’m glad you’ve written another post to boost motivation levels! Shame about the US but, as you say, you can now expand into an online shop which is definitely something we will all look forward to learning more about. It’s not all lost in the US though yet. Yesterday I got 15 sales there WITHOUT paying a cent in ads! Will write more about it all in next, July update post.